Sim, temos mais 2 nomes confirmados no Rock in Rio. The Rock in Rio Royalty is back: Sir. Elton John is confirmed for the World Stage. Besides him, the Swedish pop has its time with Robyn and new Australian sounds bring us Sheppard. Let us take a closer look at them! Elton John Elton John accumulates impressive numbers throughout his career: 450 million records sold, 35 gold albums, 25 platinum and over 3,500 concerts around the world. Greater than all this is the experience it provides when you're on stage in a performance full of successes that made the history of pop music in the last 40 years. In addition, on September 20 we will still have Rod Stewart. That's right: two sacred music monsters are presented on the same day. It will be another memorable show of an artist who loves to perform for the Brazilian crowd. Sheppard “Say Geronimo!” If you have not already said it, this chorus will stick into your head. 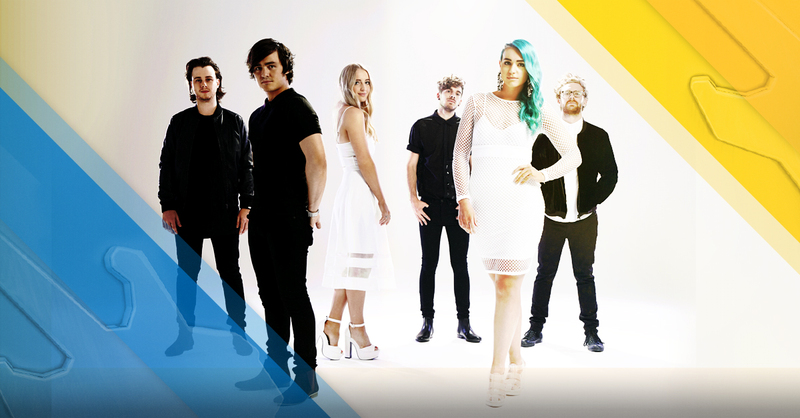 That is because the high-spirited indie pop of Sheppard is gradually conquering the charts with the hit "Geronimo". However, you just have to listen to the "Bombs Away" record to realize that the Australian sextet has potential to become one of the biggest. With inspiring lyrics and musicians who really mastered their instruments, the promise is to have a show full of energy that will win over the crowd. On the same day, we will have Rihanna and Sam Smith at the World Stage. You will not be able to miss it! Check it out the full line up here and don’t forget to buy your tickets starting from 04/09, 10am at the ingresso.com website!